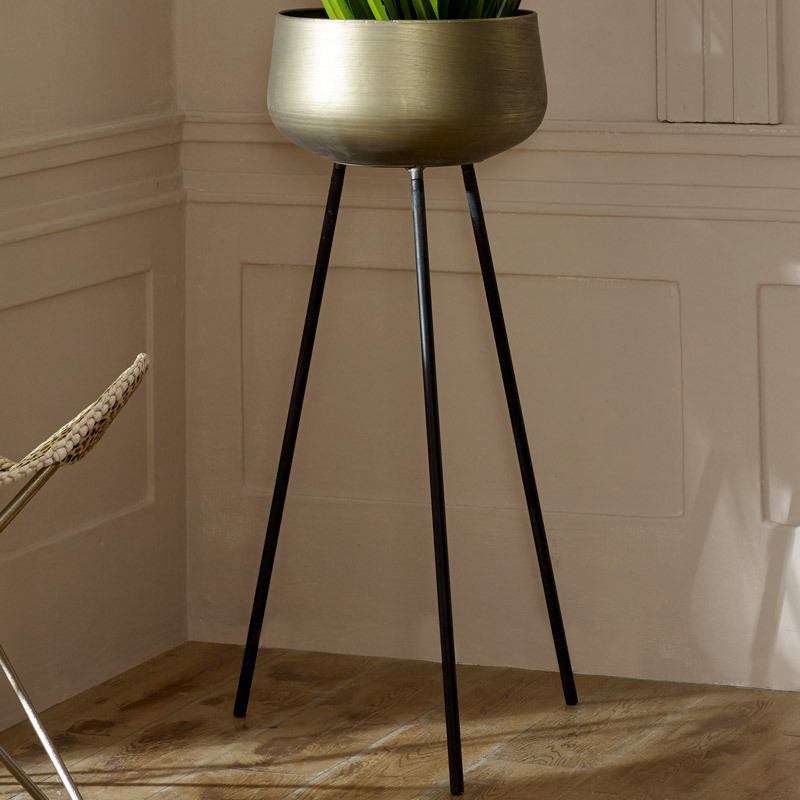 Large Vintage Gold Metal Plant Pot on Stand - Large round bowl shaped planter on tripod legs, hints of the luxe look, ideal for modern, contemporary or traditional home decors. Perfect for displaying your favourite plants and flowers Large Vintage Gold Metal Plant Pot on Stand. With a smaller version also available, perfect for adding a statement look to any interior. A great new home gift idea. Perfect for placing in the living room, hallway or patio area. 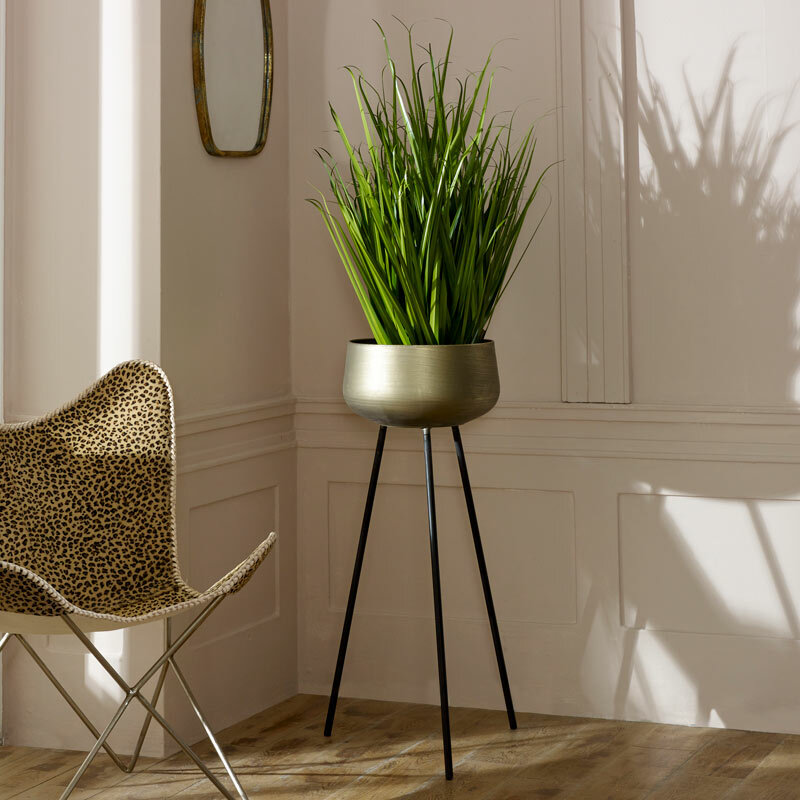 Large Vintage Gold Metal Plant Pot on Stand - Large round bowl shaped planter on tripod legs, hints of the luxe look, ideal for modern, contemporary or traditional home decors. Perfect for displaying your favourite plants and flowers Large Vintage Gold Metal Plant Pot on Stand. With a smaller version also available, perfect for adding a statement look to any interior. A great new home gift idea. Perfect for placing in the living room, hallway or patio area. Made with a metal bowl shaped planter in an antiqued gold/brass finish with 3 black metal legs. Minimal assembly required with the legs to screw into the bottom of the plant pot.